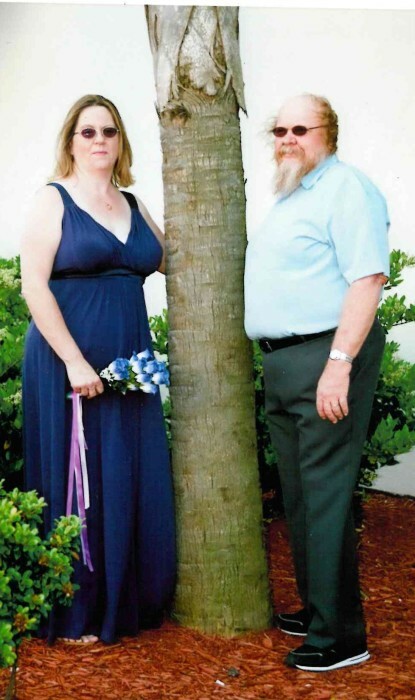 Mr. Kenneth Charles Nelson, Sr.
Thomson- Mr. Kenneth Charles Nelson, Sr., 65, husband of Mrs. Linda Ann Nelson, entered into rest Thursday, November 29, 2018, in University Hospital Augusta. He was the son of the late Mr. Arthur Weingart Nelson and Mrs. Barbara Jacobson Nelson. Funeral services will be at 10 a.m., Monday, December 3, 2018 in Curtis Funeral Home Chapel with the Pastor Doug Veer and Rev. Doug Thompson officiating. Interment will follow in Dearing City Cemetery. Mr. Nelson was a native of Chester, Maryland, but had lived in Thomson for many years. He was a truck driver and a member of Washington Heights Baptist Church. In addition to his wife Mr. Nelson is survived by his two daughters, Michelle Nelson, and Kathy Cosby (Jessie), both of Thomson; two sons, Kenneth Charles Nelson, Jr. (Jessica), Thomson, Michael Nelson (Tara), Augusta; two sisters, Barbara Martinez (Rafael), New York, Tina Provonost, Connecticut; brother, Howard Nelson (Carolyn), Kansas; twelve grandchildren and a host of nieces and nephews. Friends may call at the Curtis Funeral Home. The family will receive friends from 3 p.m. to 5 p.m. Sunday at the funeral home.